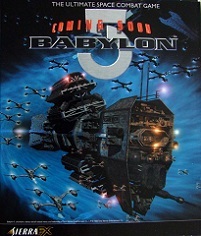 Mousepad of the unreleased game "Babylon 5". It has a 3d effect, like old baseball cards, which is why it appears blurry. Picture courtesy of Michael Hutchison.